The Center for Craft and the Asheville Area Chamber of Commerce are pleased to share the Asheville Arts Market Study, an analysis of the Art Market Survey conducted in Winter/Spring 2018 to assess affordable housing and space needs for Asheville’s creatives, including artists, makers, performers, musicians, writers, designers, etc. In 2015, The Center for Craft, in partnership with the Asheville Area Chamber of Commerce, commissioned Minneapolis-based Artspace Consulting to conduct a preliminary feasibility assessment and report as the first step towards developing affordable space solutions for artists and the creative sector in Asheville, North Carolina. A community leadership group was established to provide guidance and oversight, including representatives from the City of Asheville, The Community Foundation of Western North Carolina, HomeTrust Bank, UNC Asheville, MHAworks, and Asheville Design Center. In March 2017, Artspace conducted a Preliminary Site Visit, which included meetings with over 200-Asheville area stakeholders. Based on assessments made during their visit, they recommended testing demand for an 80-unit affordable artist housing development via the Arts Market Survey and identified the City-owned parcel located in the River Arts District at 81-91 Riverside Drive (i.e. “Ice House”) as the priority for priority development site. The property is one of three City Council designated sites for affordable housing. 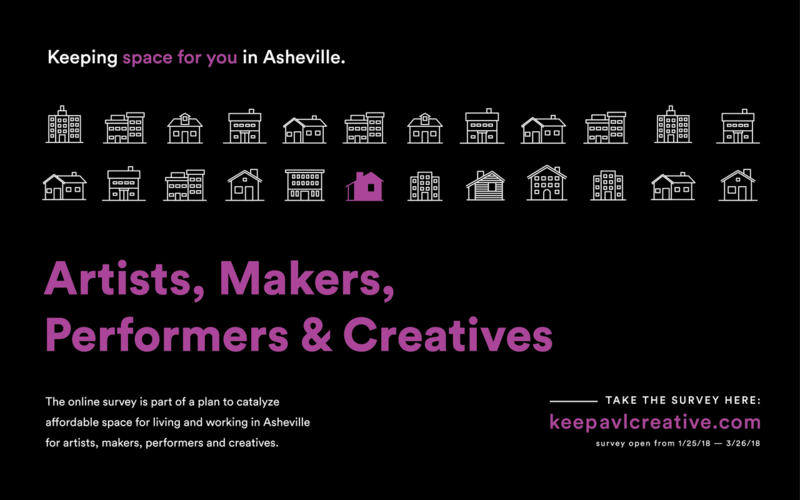 In Winter 2018, the Center for Craft launched a community-wide survey campaign called Keep AVL Creative (keepavlcreative.com). ​1,435 individuals and arts/creative businesses participated in the survey, and over 300 individuals and organizations​​ were engaged through in-person outreach efforts. Mike Marcus, Assistant Director at the Center for Craft has led the overall project and related fundraising efforts since 2015. For Marcus, a critical aspect of the project’s success has been the quantification and assessment of Asheville’s creative sector. This is the first such effort in the Asheville area. “The success of the survey in terms of community engagement is extraordinary. 1,435 responses in a city of 90,000 is significant and provides critical data for our community to make decisions from, similar to what other sectors have,” says Marcus. “Much of the survey success can be attributed to the way in which Asheville area arts, creative and cultural leaders came together to further a set of goals bigger than any one organization or creative discipline. Each organization engaged its respective audience to ensure that Asheville’s creative sector was fully represented in the data. The level of collaboration on this effort is humbling and hopeful.” The goal of the Arts Market Study is to provide the necessary market research to inform, support and advocate for investment in new affordable housing and work spaces for the arts/creative sector. ●	Majority of artists interested in new space have considered leaving Asheville. The opportunity of new space may help to retain members of the local creative sector. 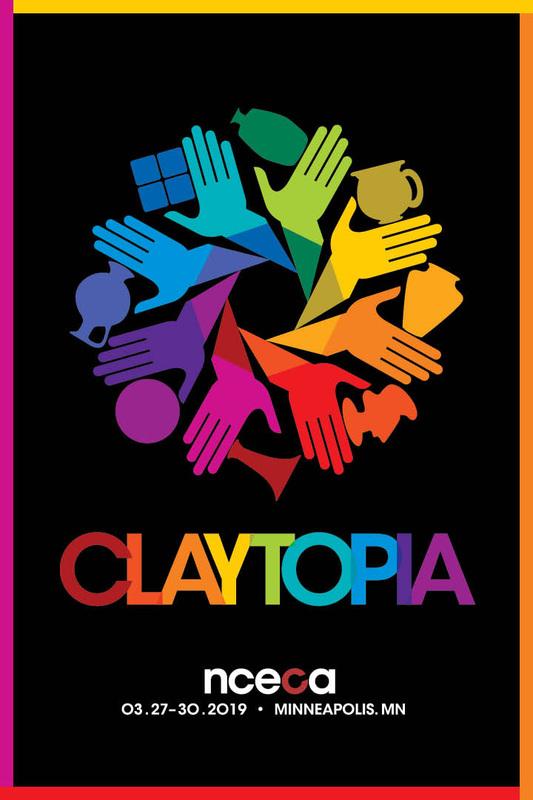 ●	While nonprofits will be served by new creative space, for-profit creative businesses would be the primary beneficiary. Investment in a multi-use project would help to support the small business community. ●	There is a need for temporary/short-term housing for visiting artists in a new facility. The feasibility of including this housing type should be explored with potential community partner operators and future funders. 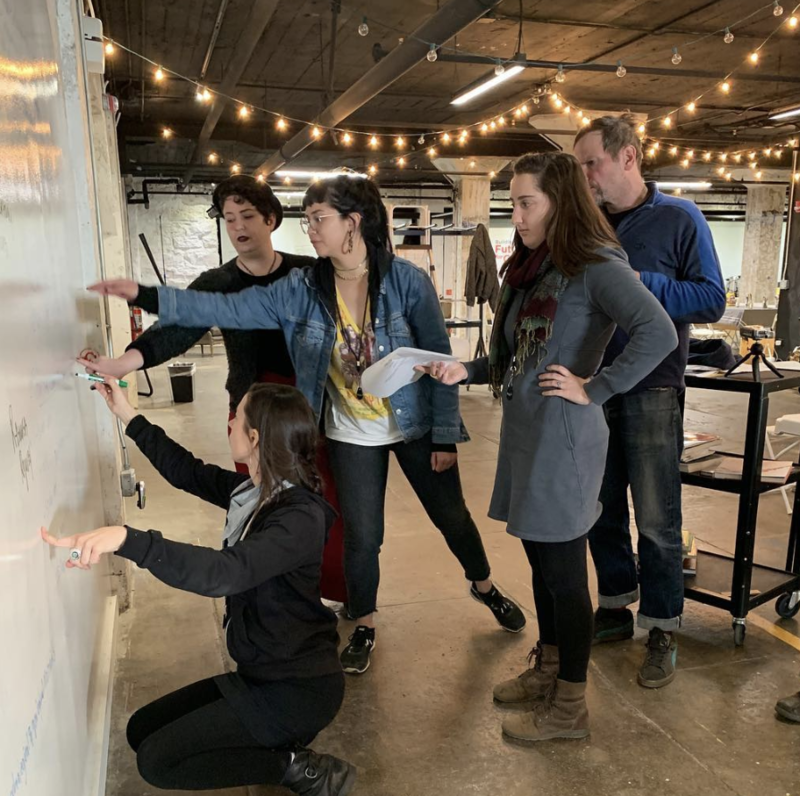 On December 11, 2018, Mike Marcus of the Center for Craft and Elizabeth Brazas of The Community Foundation of Western North Carolina will present the Artspace project and related findings to Asheville City Council. The presentation will focus on the significant demand for affordable artist housing and will strongly recommend that the City move forward with a project of this nature at their River Arts District property (81-91 Riverside Drive). The community is invited to attend the City Council meeting on December 11, 2018. 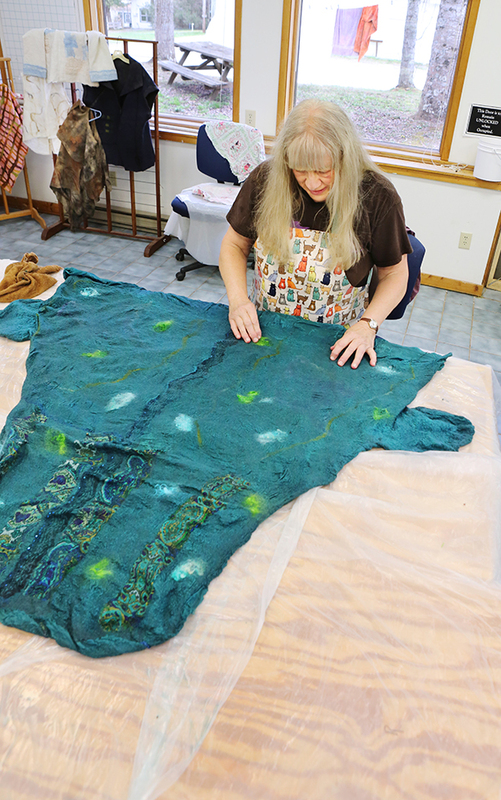 For more information, visit ​keepavlcreative.com​​.